Darien Library will present Libby Skala, winner of the London Fringe’s Best Solo Performer Award, in her new solo show “Irena Sandler: Rescuing the Rescuer,” a heroic intergenerational story about the power of one person to effect change in the world, on Sunday, March 31 at 3 p.m. Music is composed and performed by Steve May. Refreshments will be served. Through a kaleidoscope of characters, Libby Skala brings to riveting life the true story of Irena Sendler, a Polish Catholic social worker who defies Nazi rule to organize an underground network that successfully rescues 2,500 Jewish children from certain death in the Warsaw ghetto during WWII. For decades, her heroism remains hidden behind the iron curtain. In 1999, three Protestant high school students in rural Kansas stumble upon a brief mention of her in an old magazine clipping. Their curiosity evolves into an award-winning National History Day project, bringing Sendler to international attention. It propels them across the ocean to Poland, where they befriend the elderly Irena and learn first-hand how one person “answering the need of her heart,” can impact history. The idea for “Irena Sendler: Rescuing the Rescuer” was sparked by an unexpected meeting in New York with Norman Conard, the remarkable Kansas high school history teacher whose students instigated Sendler’s 2007 Nobel Peace Prize nomination through their work. 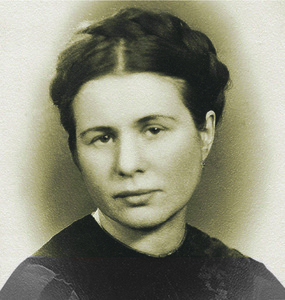 Conard encouraged Skala to develop a one-woman show about Sendler and invited her to Kansas where she met his former student Megan Stewart Felt and delved into the transformative first-hand accounts of Sendler. Special thanks to Life in a Jar Foundation. The Darien Library is located at 1441 Post Rd. in Darien, Conn. For more information, phone (203) 655-1234, or visit darienlibrary.org.